Need to change your kitchen cabinets? Remodeling your cabinets will not only give you more space to put your kitchen accessories, but it will also give your kitchen a whole new look. There are a variety of ways to change your kitchen or bathroom cabinets. If you already have newly designed cabinets along the wall of your kitchen, then adding a countertop cabinet in the middle of your kitchen would be ideal. However, most of our customers fall in love with the cabinet brands we install for other people and decide to totally do away with their old cabinets and install new ones. Whatever your needs are, our Chicago cabinet remodeling contractors can help you in many ways. 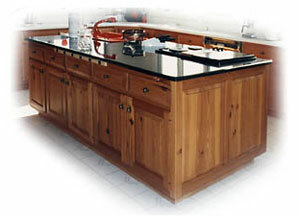 We install top of the line quality cabinets, for our goal is your satisfaction of a well done job- guaranteed! If you are looking for services other than cabinet remodeling Chicago, please click "Home" link on top.